Roger Cook says demand for health services in WA has grown substantially over the past 20 years. The state government has outlined a major shift in the delivery of health services, with planning to get under way for a new maternity hospital and a greater focus on prevention, primary care, home care and telehealth. This includes $3.3 million allocated to the first steps in planning the re-location of King Edward Memorial Hospital to the QEII site in Nedlands. The review highlighted that seven per cent of all hospital admissions are potentially avoidable, and 200,000 attendances at hospital emergency departments last year could have been dealt with in a primary care setting. It also emphasised the importance of tackling the rise in obesity and reducing harmful alcohol levels, which are risk factors for many chronic conditions. It called for five per cent of total health expenditure to be spent on prevention by 2029. Specific projects announced today include a ‘home first’ model of care supporting people who do not require an acute hospital bed. Under this model people will be able to return home for assessment by the right type of clinician at the right time. A third project is a Safe Café where people with non-acute mental health issues can receive support and advice in a supportive environment, after hours. Review chair Ms Robyn Kruk said success in the health sector had to be redefined, and that included changing performance targets for executives. Speaking at a Committee for Economic Development of Australia breakfast to launch the report, Ms Kruk called for a greater focus on patients and their user experience, as well as on health outcomes. She also called for more attention to be paid to mental health. “This is the issue that troubled the panel most significantly,” she told the CEDA event. The report’s focus on innovation and digital health care was reflected in a recommendation that 65 per cent of outpatient consultations for regional patients use telehealth services by 2022. It also called for a phased 10-year digitisation of the WA health system to improve access to information. In this regard, Department of Health director general David Russell-Weisz told the CEDA breakfast that a digital health strategy for WA was about to be released. The Department of Health and health service providers will spend the next three to six months planning implementation of the recommendations, which will be overseen by a new committee. 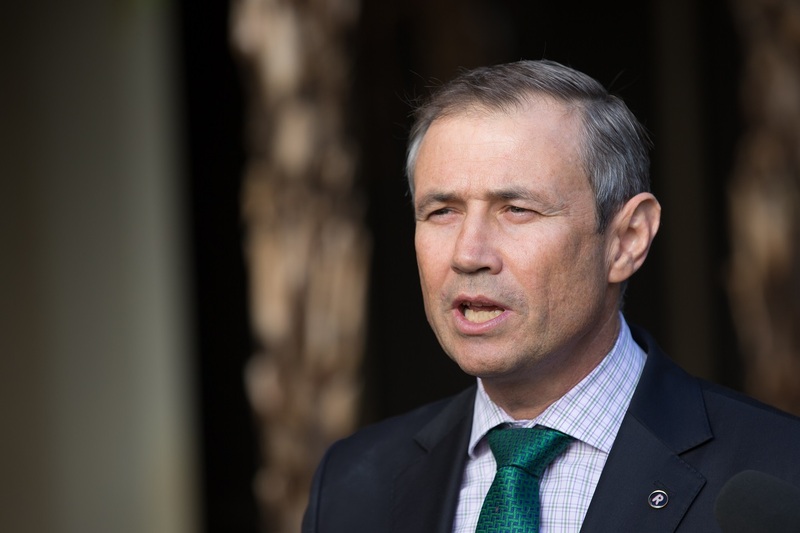 Health minister Roger Cook said the demand for health services in Western Australia has grown substantially over the past 20 years as the population has grown and aged, and the incidence of chronic disease, obesity and mental health conditions has risen. “Without intervention, health spending is projected to reach around 38 per cent of the State Budget by 2026-27, at the expense of other essential services, which is not sustainable,” he said. “We have a responsibility to drive a cultural and behavioural change in our health system to ensure that future generations can enjoy the level of health care we do today.